IO Interactive gives Hitman another shot and what a good shot it is; this might be the effort that will save the Hitman series. Agent 47 is back and is now hunted by the agency he once trusted and worked for. Absolution starts off with Agent 47 sent to kill Diana Burnwood, his former handler. The agency is after her because she has taken one of their research subjects that happens to be a teenage girl. It is also 47’s job to retrieve her. Burnwood’s dying wish is that Agent 47 takes the girl and hides her. If he refuses, she will then be trained to be an assassin. Agent 47 then agrees and begins a killing spree in the name of a girl he barely knows. 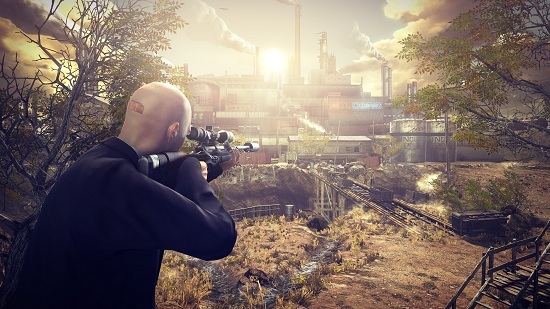 As in the previous games, there are three methods of killing a target; finding a hidden spot to snipe from, using surrounding objects to make it look like an accident, or going in guns blazing. 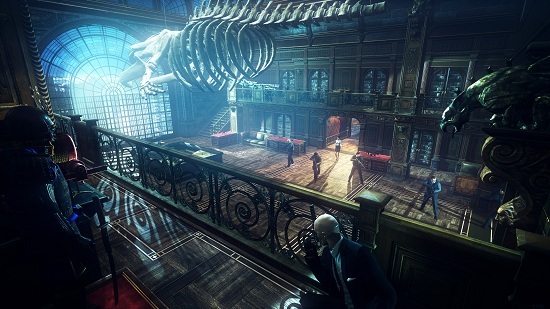 Absolution’s gameplay is more focused on gunplay, catering for the trigger happy. This might be what was needed to breathe life into the series. It means that gamers who love and are used to the fast-paced action a first person shooter gives would be more than happy to play Absolution – it also makes adapting to the languor of stealth games easier. This time around, killing NPCs will not result in an immediate game over and will not act as bad karma later in the game (as it did in Blood Money). Going in guns blazing – although this is not necessarily the best or the smartest option. Killing NPCs and being sloppy would result in a low rating for the mission, being spotted would also result in a point deduction but this is nothing in comparison to the amount of fire you will have to suffer from the police, goons, and bodyguards. In fact, you would have to be exceptionally skilled to kill all the enemies shooting at you. This is how Absolution forces you to think of a better way to kill the target, a more creative way. Besides developing high blood pressure or some anxiety disorder trying to shoot your way through the seemingly endless waves of enemies, there is the sniper option. Not every level has this option but when you are able to use it, all the work is already done for you as the sniper would be put next to an open window surrounded by trees that has a perfect view of everything. This tends to take the fun out of finding the perfect sniping spot but gives you the sheer pleasure of giggling at the screen when a target falls to the ground with a mysterious bullet wound in between his eyes and the other NPCs are running around trying to find its source. Naturally gamers who like a more paced game would love Absolution. They would also love that Absolution has even more disguises than before. There are toxic and surprisingly dangerous objects seemingly around every corner, from sleeping pills to an exposed electrical main. These kills are always the most satisfactory; although these type of kills take many attempts to set up as you would have to search the whole house in hopes of finding an accident waiting to happen by which time an NPC has spotted you and called every NPC in Absolution to shoot at you. 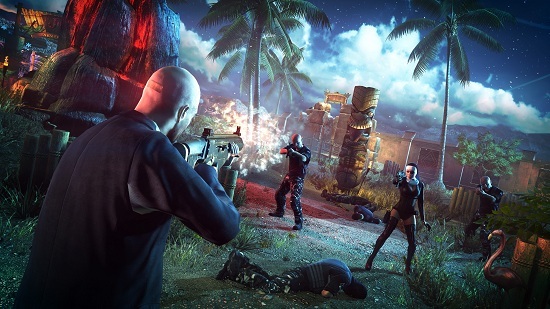 Absolution features both a single player campaign and an online “contracts” mode that allows you to compile your own hit list, attach your own conditions to the contract and set the challenge to other online players. If the contract is completed, players can earn game currency. Hitman: Absolution is a well-rounded game. Besides gameplay that has now been open to nearly every type of player, it is a great looking game. The developers need to be applauded for detail and great looking graphics both in the environments and in many disguises Absolution has to offer. Absolution will have you playing the same mission over and over to try to have a flawless mission (or because you’ve been discovered and showered with bullets).